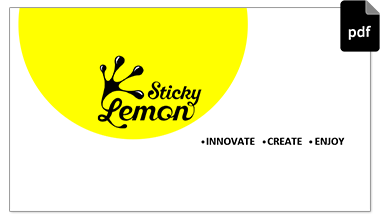 Branding for Sticky Lemon Gaming Company. Innovate. Create. Enjoy. Leveraging our years of experience in both gaming and internet marketing, bringing an engaging, enjoyable, insanely addictive app to the market​.